Hi, Billy here and I’m looking for a home with my best friend Sammie. Although we are an older duo we still have so much love to give, all that we ask for in return is a nice, warm comfy spot to nap on. I am housetrained, can live with older children and can be left for 4-5 hours. If you’re looking for a companion then we are the pair for you! 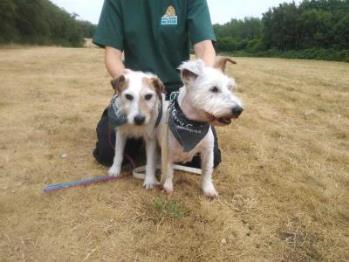 Hi, Sammie here and I’m looking for a home with my best friend Billy. Although we are an older duo we still have so much love to give, all that we ask for in return is a nice, warm comfy spot to nap on. I am housetrained, can live with older children and can be left for 4-5 hours. If you’re looking for a companion then we are the pair for you!